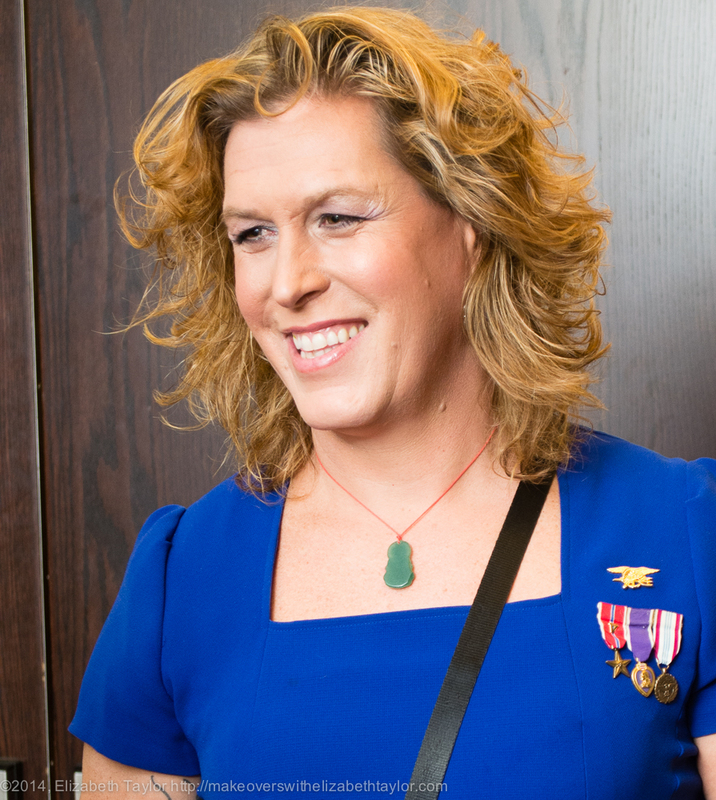 Retired Navy SEAL and transgender activist Kristin Beck spoke to a full audience including a news crew at her keynote address yesterday at Keystone Conference in Harrisburg, Pennsylvania. 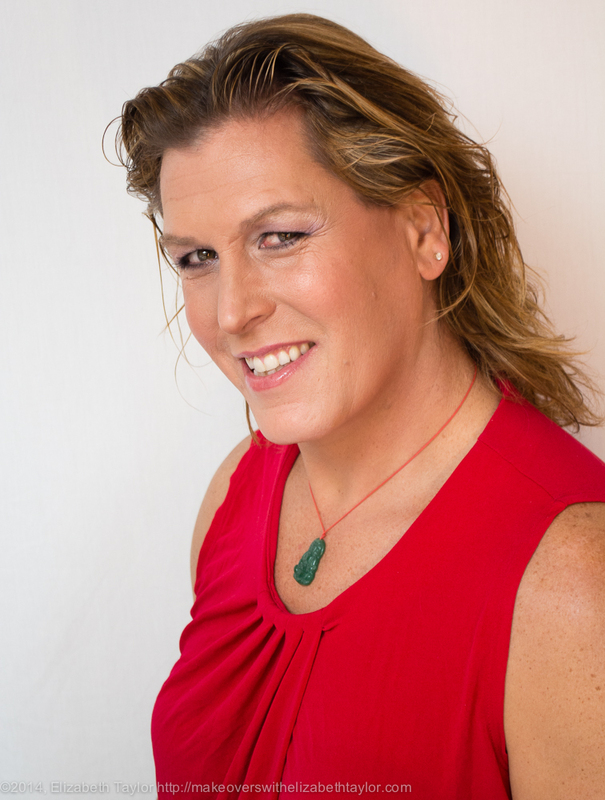 I had the privilege of applying her makeup, helping her dress for her talk, and capturing her on camera. Earlier that day, I saw Kristin riding the elevator in her two piece bikini with wet hair from the pool. When she came to see me, we capitalized on her now-clean wet hair to create a beachy look with her daytime makeup. With Kristin’s hazel eyes, we made the green in her eyes pop with purple eyeshadows. Kristin selected rosette lipstick with cream and sugar lipgloss in the center to give plumpness to her lips topped off with icicle lipgloss for shine. After her wet hair pics, Kristin curled her hair and dressed for her talk, adding jewelry while waiting for the elevator. Downstairs, fans greeted her immediately including Karen Holmes, below, from the DC Metro Area. Then Kristin and I parted ways as she went off to greet the media and her crowd of fans.